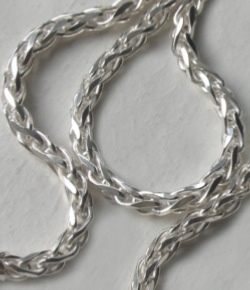 Here is our Italian sterling silver diamond cut wheat chain in width 3.5mm and our chunky wheat necklace in width 9mm. The wheat design is named so because it resembles an ear of wheat. 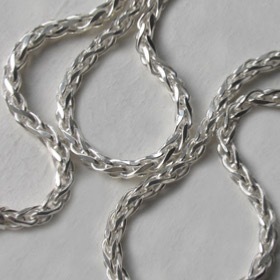 Wear your silver wheat chain alone as a sparkly silver necklace or with a favourite pendant. 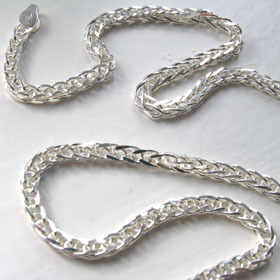 Available in lengths 16" to 30"
For a similar alternative to the wheat chain design, see our silver rope chains.